Squid are carnivorous marine cephalopods. 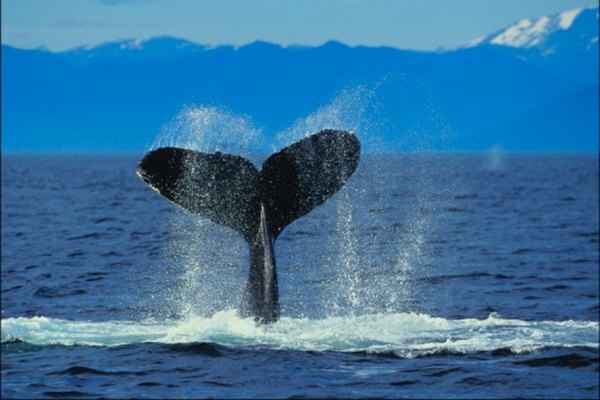 Their size varies from a few inches to over 30 feet. A squid's position in the food chain is determined by its size. The smaller the squid the lower its position; in turn, the larger the squid, the higher it becomes in the food chain. Squids are predators. They eat fish, crustaceans (like shrimp), crabs and even other squids. They are secondary and tertiary consumers, meaning they eat herbivores and other carnivores. They are able to catch prey with their two feeding tentacles, then hold the prey with their eight arms and bite it into small pieces using a parrot-like beak. Although small squid are predators, they are also prey for many other creatures, including birds, fish, sharks, whales, humans and larger squid. 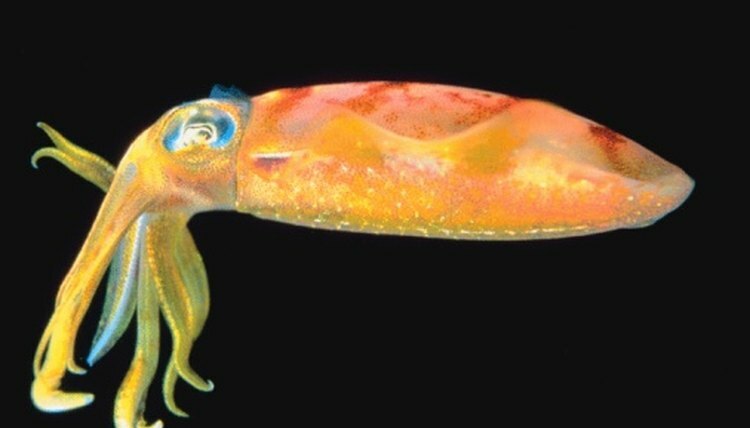 Small squid have the ability to move rapidly through the water. Their skin is covered in chromatophores, pigmented cells arranged in layers that allow squids to change color to match their surroundings. Small squids' high speed and ability to change colors not only help them evade predators, but allow them to more easily pounce on prey. Giant and colossal squid are two of Earth's largest animals, their length exceeded only by the sperm whale. Reaching 46 feet long, colossal squid are the largest known invertebrate. Colossal and giant squid are close to the top of the food chain, able to eat any sea animal they can catch. Whales have been found with scars from the suckers of the giant squid and the hooks of the colossal squid. Colossal squid consume little food relative to other large sea creatures, and subsist mainly on large fish, chiefly the Antarctic toothfish. The full-sized adults are only preyed on by sleeper sharks and the sperm whale. There is still much to learn about squid, as they tend to live closer to the bottom of the ocean. The colossal squid has the largest known eyes in the animal world. These eyes help them to escape from predators. They are slower than other squid. To see their prey in the deep ocean they use bioluminescence, the ability to emit light from their bodies. Some of these prey are Chilean sea bass, Antarctic toothfish and chaetognatha, which they catch using their hooks.